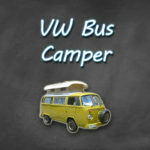 VWBusCamper.com is designed to be the best and most concise resource online for VW Type 2 (T2) Microbus Campers. The scope of the site has been limited to these specific model years and to mainly the Westfalia camping van and conversions in order to serve the growing vintage VW bus RV enthusiast market. The primary goal of this site is to consolidate and display US Craigslist Ads and eBay Auctions for VW Bus Campers from these model years. If your mission is to find a vintage VW Camping Van or Microbus Conversion then a great place you can start is on our VW Bus Camper For Sale page; there you will find ads segmented by model year. For those visitors looking to find VW Bus Camper Parts, check out our parts page for places to buy used and salvage original OEM parts along with new re-manufactured and aftermarket accessories online. We have also included a page with three specific manuals for the following topics. Check out our VW Bus Manual page for more about these books and how to purchase them online. We also provide a comprehensive yet brief overview of both the Volkswagen Type 2 (T2) and Westfalia Camping van along with period camper van conversions. Check our or VW Bus Camper Review page for more about this. If you are looking for newer, modern VW campervans made on the Vanagon Type 2 (T3) or Eurovan Transporter T5 platform; check out our Resources page. You will find links to other websites on our network that cover these models. In an effort to capture the complete current market of Volkswagen Bus Campers for sale, we not only accept listings posted directly to this site but also repost ads from popular online classifieds such as Craigslist and eBay. We scrub these classifieds on roughly a weekly basis to make sure we are capturing the entire United States and Canadian used/vintage markets. Our goal is not only to be the place to for current VW Bus Campers for sale but also as an archival resource. For this reason when VW Bus Campers are sold or taken off the market we do not remove the listing from this site. Instead we mark them as SOLD or No Longer Available and leave the rest of the original ad information including pictures. We do this for record keeping purposes and to keep a rolling archival database of VW Bus Campers listed for sale. A few of the reasons we do this are listed below. The end goal is to be not only a classifieds, but a true VW Bus Camper resource for buyers, sellers and general enthusiasts. Because we both repost ads from other sources and archive them for reference there are a few unique disclaimers you should be aware of. First, when viewing a listing take note of both the original post date and “last updated” field. This information is included and updated on all of our ads. If it is a very old listing, it is likely that it is sold or no longer available. Even if we have missed marking it as sold. However this is not always the case, so it is worth a try, but keep this in mind when trying to reach the seller. While we encourage commenting on our ads, since many of our ads are reposted, the seller may never see your comments. We encourage you to reach the seller directly with the listed contact information. Also be aware that on older ads the Send Message function may no longer work because of the email forwarding nature of reposted Craigslist ads. ***If you should find any ad that has been sold, has invalid seller contact information or is a suspected Craigslist scam; please let us know on our Contact page. Also if you are the seller of a bus reposted on this site, and would like your contact information removed, regardless of sold status; please let us know and we will remove it as soon as possible.